I went to the Dayton Engineering Sciences Symposium today. 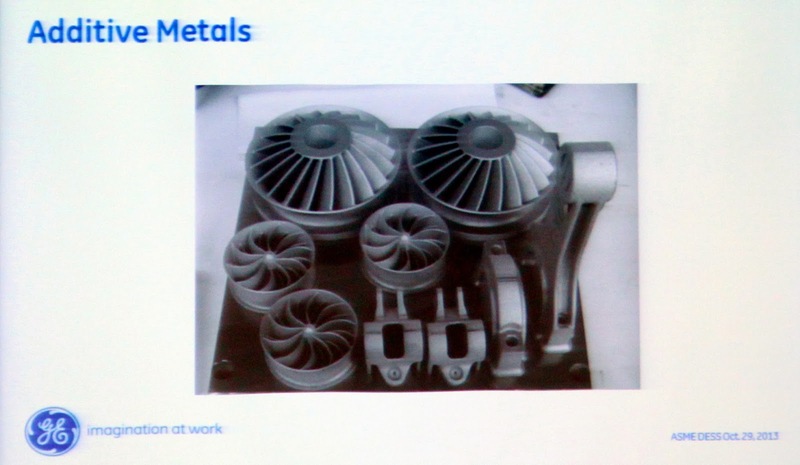 Greg Morris of GE Aviation gave the keynote address on additive manufacturing. It was a broad, high-level discussion of additive manufacturing in general, and gave an overview of the many different technologies available today from plastics, to ceramics to metals. 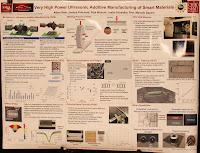 Of course, given his background, he focused in on the additive metal manufacturing capabilities and applications. He mentioned several times that the real key to getting value out of additive manufacturing was to design with the process in mind. It would be very rare that it would make economic sense to take a part that is traditionally fabricated and just print it. What makes much more sense is to redesign the part so that it is lighter weight, higher performing, or has reduced parts count but would be unproduceable with any other method, and print that. 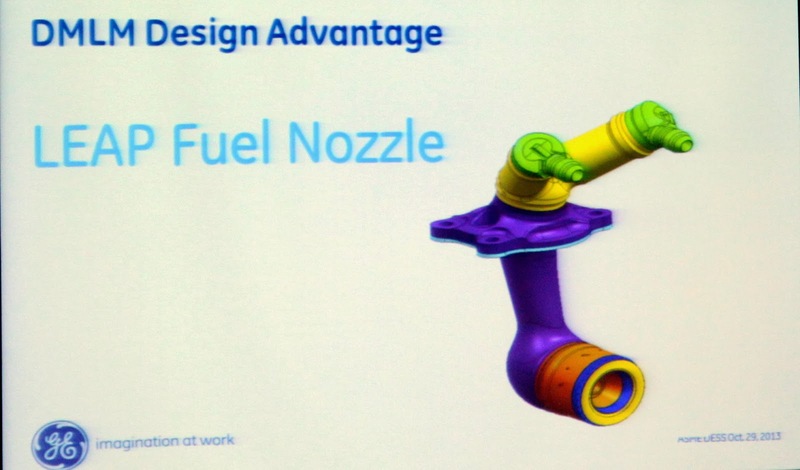 An example he gave was of the reduction in parts count from 20 to 1 for the LEAP Engine fuel nozzle. Also, for prototype parts that support testing where fatigue life is not so critical 3D printed high pressure turbine blades can save 6 months of lead time and 15% in cost. These printed blades will not have the life of a single-crystal turbine blade, but they only really need to last long enough for the engineers to collect the performance data that feeds back in to the next design iteration. Another topic he hit on was the "long and expensive path" to full characterization of the material (Cobalt-Chrome) they are using in their fuel nozzle application. This is an area that requires work in good design of experiments techniques to optimize how many tests are needed to reach a given level of confidence. One way to tackle this problem is by finding initial application areas that are more tolerant of risk such as prototype hardware, wind tunnel models, or ancillary hardware like brackets. As far as future directions for additive manufacturing, he mentioned in passing that there was plenty of misinformation in the press that lead people to have unrealistic expectations about 3D printers in every home producing replacements for consumer goods. He did say that being able to produce repair parts in remote environments was a possible future application, which sounds a lot like the Army program to take mobile fab labs into the field. 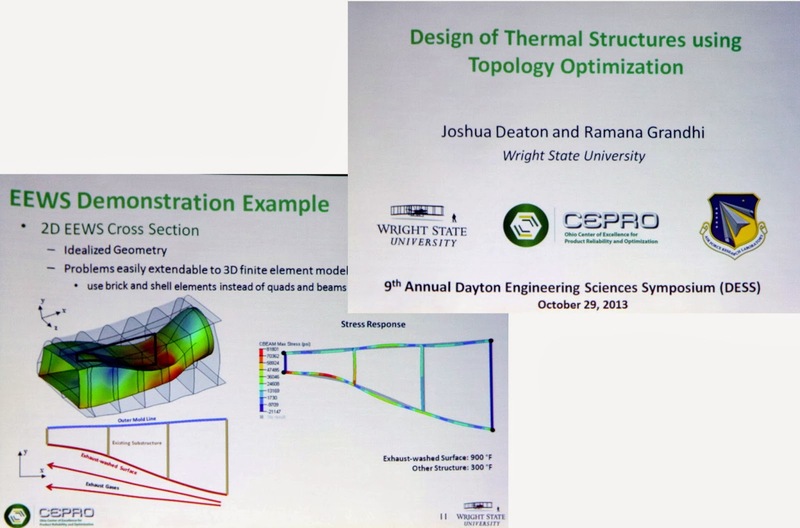 Some other high-lights from the symposium from a 3D printing perspective were a presentation from two OSU students on an ultrasonic additive metal process, and some work from a WSU student on topology optimization for hot structures. 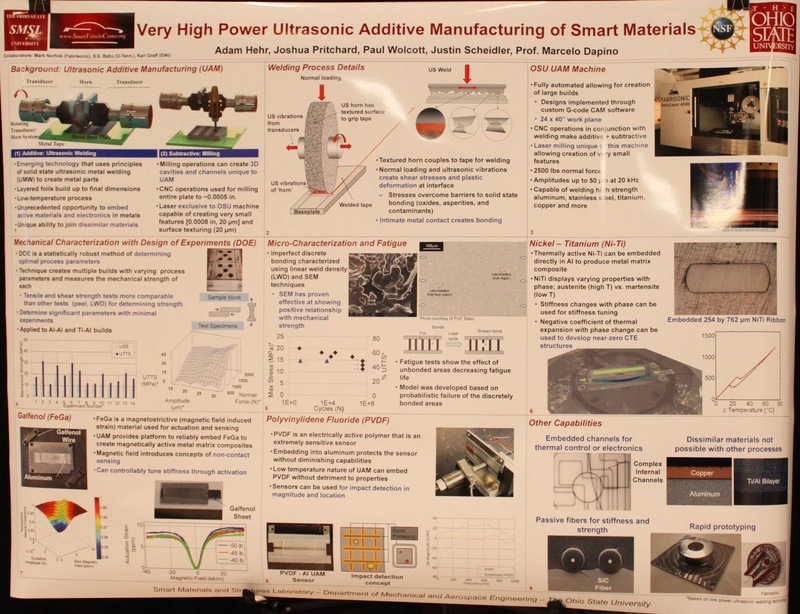 One of the things I really liked about the work on the ultrasonic additive method was the design of experiments approach they took to characterizing and optimizing the manufacturing process parameters. Despite the popular media hype, he sees huge potential for more applications and more exciting business models built around additive manufacturing. 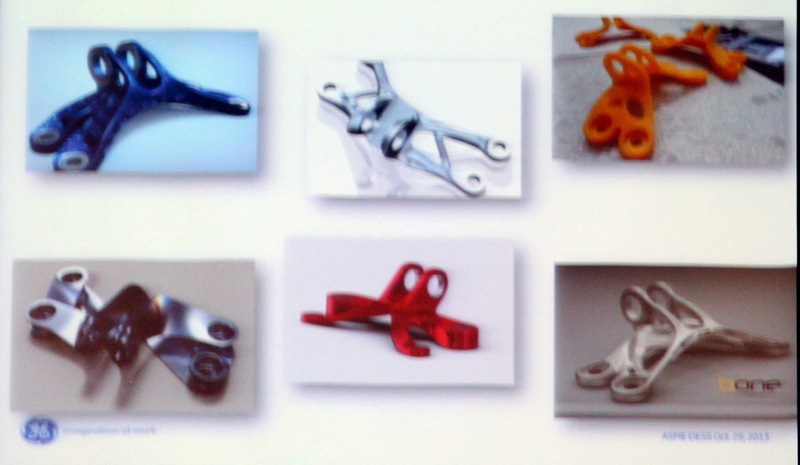 In line with the point Greg Morris made about designing for the process, many of the existing topology optimization methods are ideal design tools to really take full advantage of the capabilities that additive processes bring. Expanding these methods to include more physics beyond elastic compliance, such as heat transfer and thermal growth, is an important research area.